The Fed meeting is the most influential topic for EURUSD however EUR has been supported by growth of EURGBP. As the reversal pattern was created at 61.8 of Fibonacci retracement and it is time to reverse again; the pair has already created two bearish candles. The support and resistance lines have been located between the monthly pivot point at 1.12810. 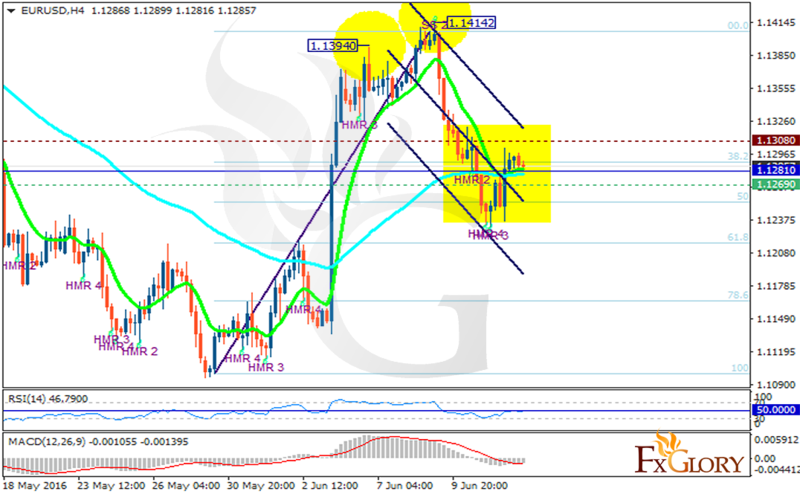 The support rests at 1.12690 with strong resistance at 1.13080. The EMA of 10 is moving along with the EMA of 75 on neutral area. The MACD indicator is in negative territory and the RSI is on the 50 level. The pair downward movement will target 1.1130 otherwise it will rise to 1.1370.